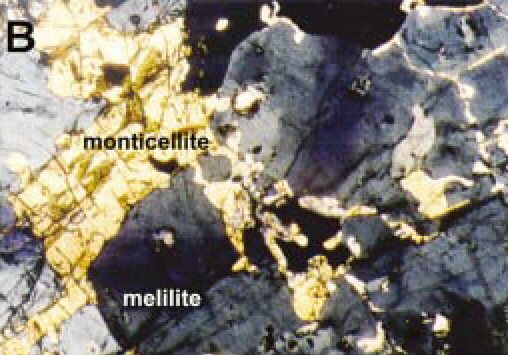 Comments: Thin-section image of monticellite interstitial between unaltered melilite crystals (CanMin v. 41. p 1259). Location: Skarns along the contact of a diorite intrusion at Oravit¸a, Banat, in Romania. Scale: Field of View 2.7 mm.